Witness the behind-the-scenes techniques and gruesome special effects that dominate this box office hit! 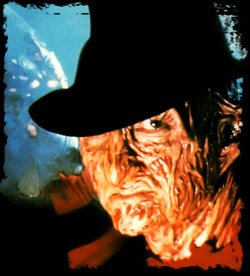 See through the mysteries of the slasher saga by watching brilliant direction from concept to actual filming, special make-up techniques, and all the mechanical devices used to produce the inherently terrifying nightmares. 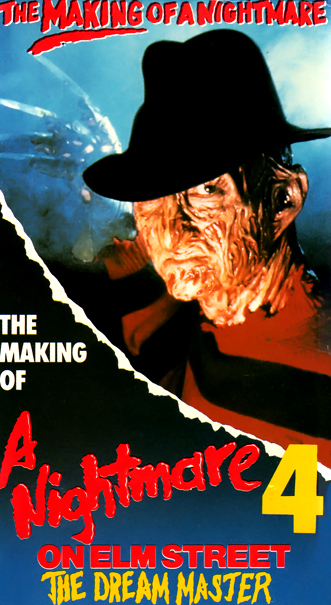 Starring Robert Englund as Freddy Krueger! 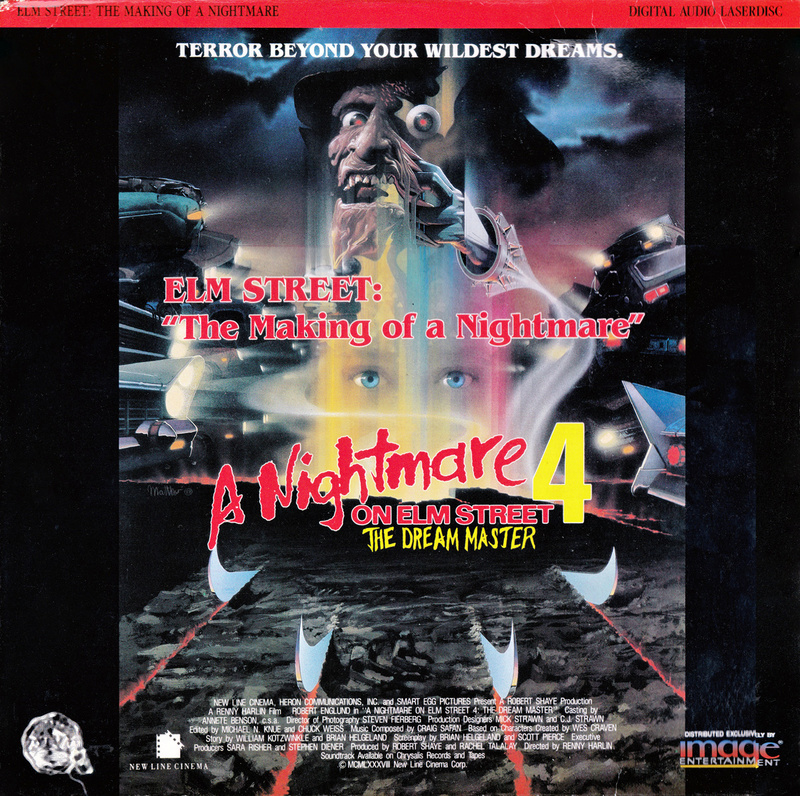 Distributed by United American Video Corp.
An extensive behind-the-scenes look into the production of A Nightmare on Elm Street 4: The Dream Master. 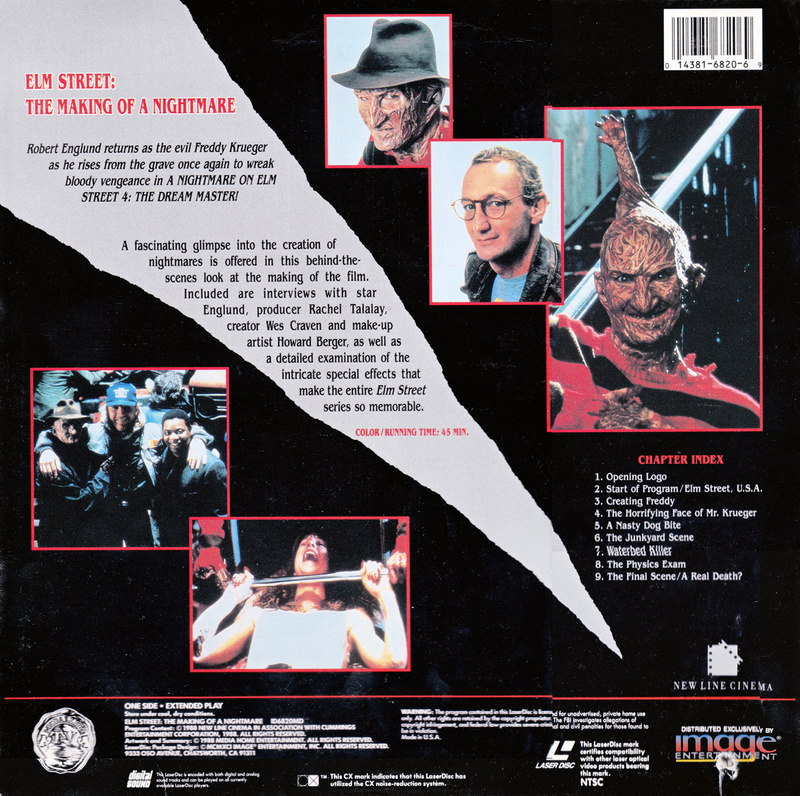 This documentary includes interviews with stars Robert Englund and Lisa Wilcox, Director Renny Harlin, Producer Rachel Talalay, creator Wes Craven, and more. FX segments detail the contributions of Screaming Mad George, John Carl Buechler, Steve Johnson, and Kevin Yagher. 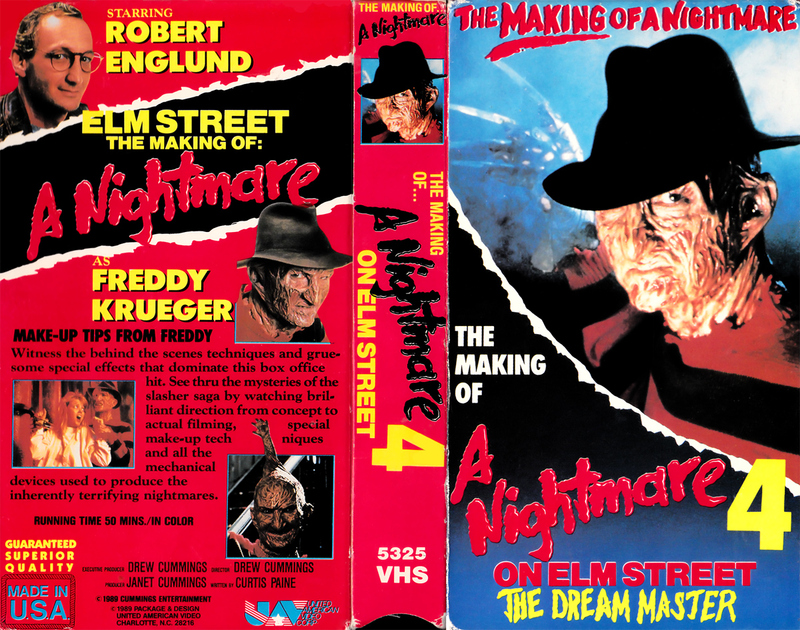 Additionally, the Laserdisc edition includes 10 minutes of extra footage not shown on the VHS edition.